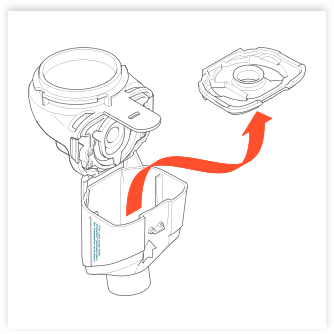 Clean the Altera Handset after each dose to help prevent the Aerosol Head from clogging. Disinfect the Altera Handset at the end of every treatment day to reduce bacterial contamination. You will receive two Altera Handsets with your first shipment of CAYSTON®. You will also receive an additional handset with each of your following shipments. Multiple handsets can be rotated throughout the day to complete each of your 3 daily doses of CAYSTON. You should clean and dry each handset as soon as you are able to after treatment to reduce the risk of infection and help unclog the Aerosol Head to ensure proper operation. After your third and final treatment of the day, all of your handsets can be disinfected at once. To get accustomed to this procedure, watch the instructional video in the Resources section. 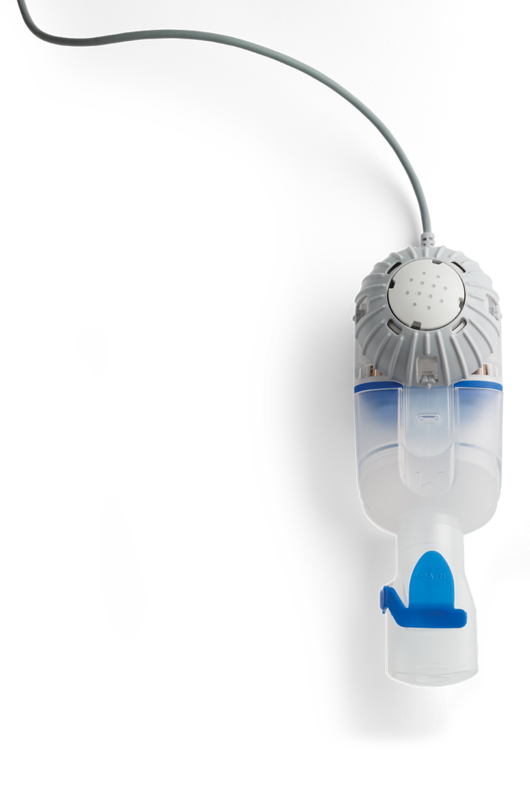 To reduce the risk of infection, illness, and/or injury from contamination and/or improper use, clean the Altera Nebulizer Handset as soon as possible after treatment. After your third and final treatment of the day, be sure to disinfect the Altera Nebulizer Handset(s). With normal operation and proper cleaning, it should take about 2-3 minutes to complete each treatment of CAYSTON. * If it takes longer than expected, the Aerosol Head could be clogged. 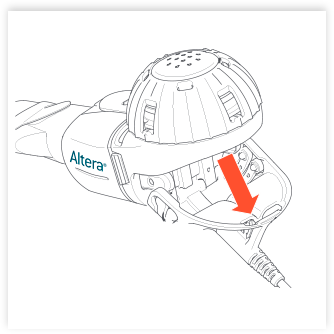 A thorough cleaning following the directions in the Altera Nebulizer System Instructions for Use may help. If you notice your fully cleaned Altera Nebulizer Handset continues to take more than 3 minutes to nebulize, call 1-877-7CAYSTON. As with any nebulizer, you will need to clean and disinfect your Altera Handset. Follow the simple steps below to familiarize yourself with this simple process, or watch the instructional video in the Resources section. 1. Disconnect the handset from the Nebulizer Connection Cord. Then proceed to disassemble the Altera Nebulizer Handset parts. 2. Twist and remove the Medication Cap from the Medication Reservoir. 3. Remove the Mouthpiece from the Aerosol Chamber. 4. Gently pull up on the tab of the Medication Reservoir, releasing the Aerosol Chamber so you can open it. 5. Remove the Inhalation Valve from the Aerosol Chamber. 6. 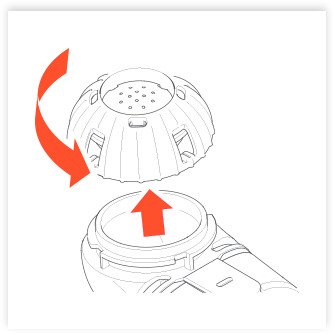 Touching ONLY the plastic outer ring of the Aerosol Head, press the 2 flexible plastic tabs on the side of the Aerosol Head and remove it. 7. There is no need to disassemble the Medication Reservoir from the Aerosol Chamber for cleaning and disinfecting. Doing so may damage the hinge holding them together. Start by thoroughly rinsing each of the parts under warm, running tap water for approximately 10 seconds. Rinse the Aerosol Head for at least 10 full seconds on each side. Thorough rinsing on both sides helps to prevent clogging and ensure proper operation. NEVER USE a brush or any other object. Add a few drops of clear liquid dish soap to a clean bowl and add warm tap water. Wash all parts and rinse thoroughly under warm, running tap water. After rinsing, air-dry by placing the parts on a clean, lint-free towel. After the parts are completely dry, place them in a bag for storage. Reassemble the Altera Nebulizer Handset just prior to your next treatment. This helps to ensure that the silicone seals do not become warped over time. 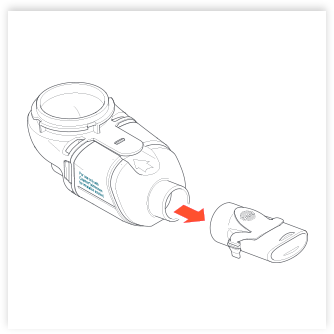 To reduce the risk of serious or fatal illness caused by contamination of the Altera Nebulizer Handset, you must also disinfect the handset at the end of every treatment day. Note: The Altera Nebulizer Handset is strictly for single patient use only. 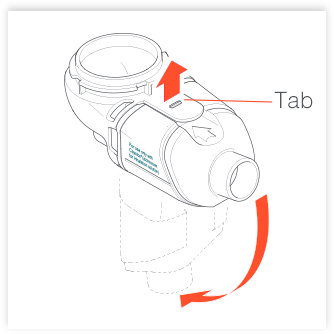 Clean the Altera Nebulizer Handset as described in cleaning section above. Chemical disinfection method. Use a commercially available medical device disinfectant such as Control III®. Follow the disinfectant manufacturer's directions for use. 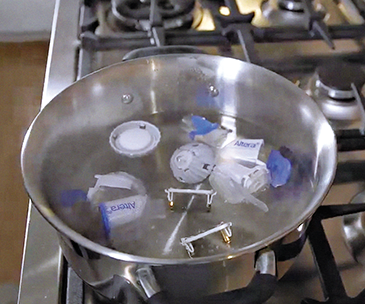 Boiling in distilled water method. The Altera Nebulizer Handset may also be disinfected by boiling the parts, including the Aerosol Head, in a clean pot of distilled water for a full 5 minutes. Do not boil in regular tap water, as it may damage the Aerosol Head. Once the Altera Nebulizer Handset parts are completely dry, place them in a bag for storage. 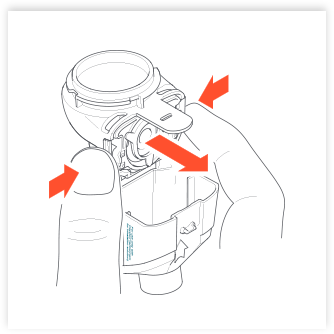 Reassemble the Altera Nebulizer Handset just prior to your next treatment, helping to ensure that the silicone seals do not become warped over time. Cleaning and disinfecting recommendations may vary by specialty pharmacy. To see how CAYSTON may fit into your daily schedule, click here.